When it comes to marketing for a small business, you’re constantly looking ahead to what’s just around the corner. You’re a season ahead of everybody else, ready for the next big thing in marketing to come around so you can take advantage of it. And with spring coming to an end and summer quickly approaching, you’re gearing up for a summer of marketing mayhem. 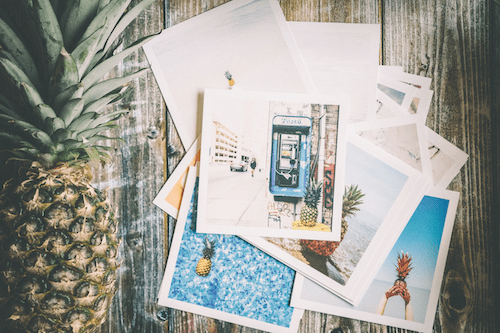 We put together a quick list of our favorite summer marketing ideas to help you get ready for the hot sales season coming up. Here’s how to prepare for summer marketing. With the heat comes the perfect opportunity to get outside and promote the business at outdoor events. After all, if consumers are outside, then you should be, too. Take your storefront or online store outside by participating in events like street fairs, block parties or festivals. You could even give pop-ups a try, and pop up with promotions at places you know customers will be during the long summer days. There are plenty of holidays to celebrate and embrace over the upcoming summer months. Whether it’s Flag Day, Father’s Day, the Fourth of July or Back to School season, be sure to hit the holidays with your summer marketing tactics. Use email marketing beforehand, social media marketing on the holiday and follow up with print marketing to tell your customers about special holiday deals and promotions. When it comes to summer, the grass is green, the sky is blue and people are happy. What better time is there to snap pictures you can use for promoting your small business? Summer is the ideal time to engage with social media sites such as Facebook, Twitter, Instagram and LinkedIn, because of all the beautiful photos you can share. Share pictures from your business, from the community or from customers to reach out to clients and engage with them on their level. While you’re out and about enjoying the sunshine, be sure your business gets involved with local events in the community. Use fairs, concerts and other community events to get your business in front of a large, captive audience. Or, see how your business can show support in the community—such as sponsoring a sports team—to bring exposure to the brand and demonstrate how much you care. Of course, summer is the perfect time to embrace those sizzling summer sales. People will be on the lookout for sales throughout the summertime, so be sure to keep your business top of mind by having a fresh sale ready to go at any given moment. Finally, use the beautiful summer weather to go guerrilla with your marketing efforts. For instance, if you have a brick and mortar storefront, why not try chalking the outside sidewalk? Guerrilla marketing is a unique and creative way to market your business that catches consumers’ eyes and draws them in. Summer will be soon be here, as will summer marketing. Make sure you’re prepared with these tip top ideas for summer marketing. Embrace the heat and give these ideas a try to see how your business can grow this summer.